Another project in which HAF works to preserve Jewish Heritage is our interfaith initiative, HOUSE OF LIFE, which simultaneously alleviates poverty. We implemented the pilot for this project in Akrich. HOUSE OF LIFE facilitates the free loan of land adjoining Jewish burial sites in order to establish organic tree and medicinal nurseries for the benefit of farming communities. This initiative resulted in the cultivation of 120,000 almond, fig, pomegranate, and lemon trees. HOUSE OF LIFE not only addresses poverty but also establishes attractive cultural sites that increases Jewish tourism, as many Jewish people seek blessings from the Jewish saint Rabbi Ha Cohen, and make a pilgrimage to the cemetery to pray at his tomb. We have been granted six more sites near Jewish saints to grow nurseries, consequently advancing cultural preservation and people’s development. Like WMF, we are committed to maintaining Jewish cultural sites, particularly in places with limited resources, and motivating others to do the same. We raise public awareness and interest in Jewish heritage and strengthen the local community’s capacities to conserve the sites. 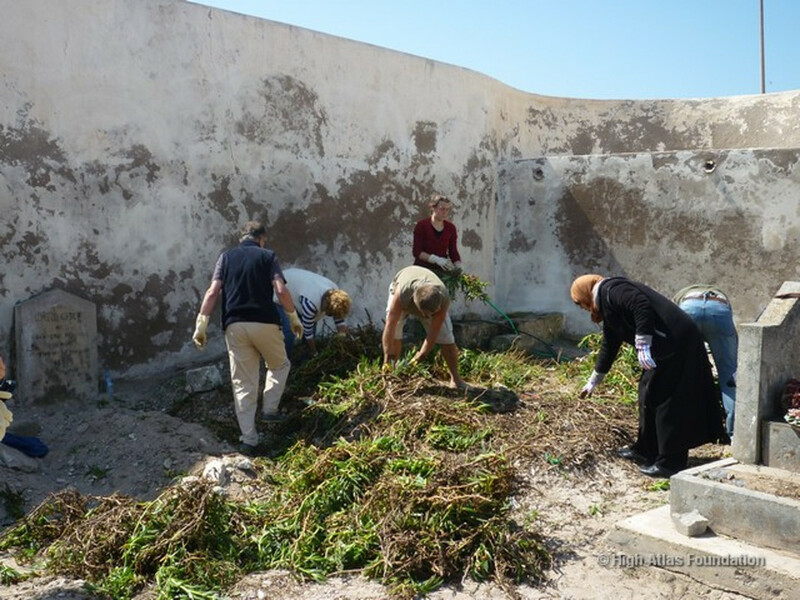 In addition, HAF has worked towards preserving other cultural sites such as the Christian Franciscan Church in Essaouira. After restoration, the city government transferred the church to local civil society to serve as a location for public workshops, family education, and a meeting point for interfaith relations and development stakeholders. This project helps preserve Morocco’s cultural past, and reflects the Moroccan model of social integration. For more information regarding HAF’s cultural projects and other human development initiatives in Morocco, review our website: www.highatlasfoundation.org.